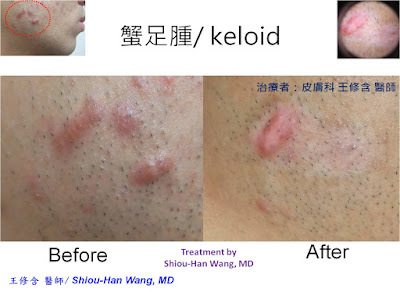 The keloid is a bothersome and difficult problem. Multiple modalities can be applied to this disease, including intralesional steroid injection, cryotherapy, surgery, radiotherapy, and pulsed dye laser(PDL). Botulinum toxin A(BTA) is a neurotoxin derived from Clostridium botulinum which can inhibit acetylcholine release at the neuro¬muscular junction and induce the flaccid paralysis of striated muscle. 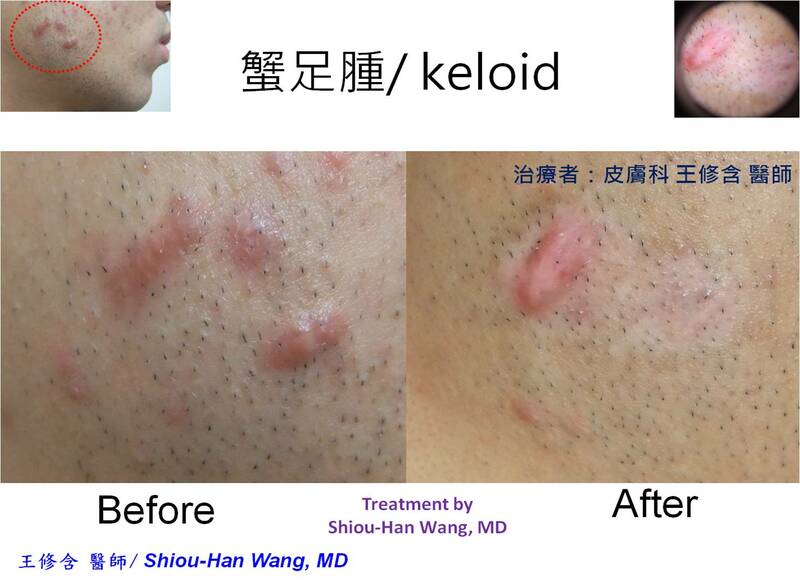 BTA is a new method to treat keloid. It may act on fibroblasts to induce apoptosis to prevent excess fibrosis, and may limit the muscle contraction. BTA also can reduce muscle-contration related skin tension, and then decrease microtrauma and subsequent inflammation of keloidal tissue. Pathogenesis of keloids is related to transforming growth factor β1 (TGF- β1) that is an essential cytokine associated with the excessive deposition of scar tissue and fibrosis. In keloid fibrolasts, BTA showed the ability to reduce the expression of TGF- β1. In a randomized controlled study published in 2015 (J Cosmet Dermatol. 2015 Jun;14(2):161-6. ), the efficacy and safety of intralesional injection with BTNA in the treatment of keloids were evident, and BTA was equally effective and better tolerated than steroid injection. It can be safely and easily combined with other treatments for keloids, such as cryotherapy, steroid injection, and PDL . 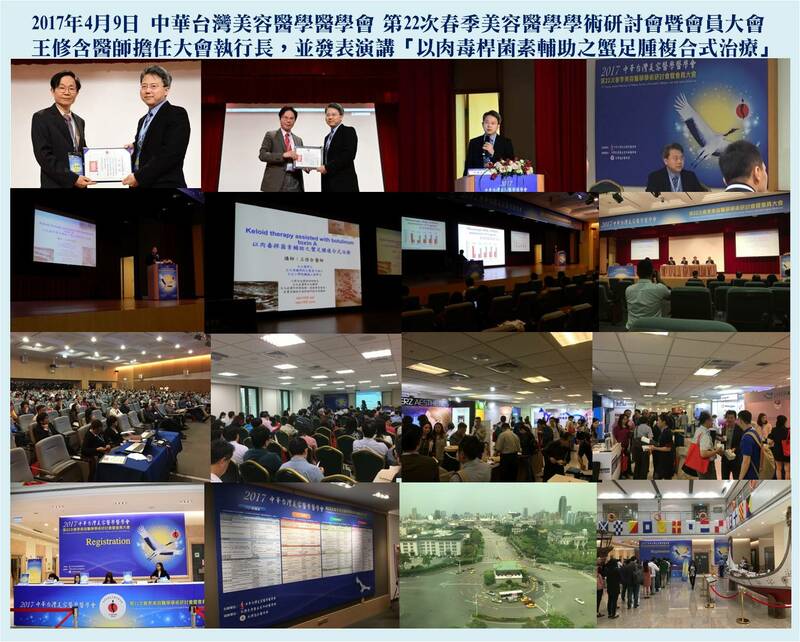 The experiences and techniques will be discussed and demonstrated with video.